Pokémon Go... and Global Success Skills? Harness the immersive game Pokémon Go to engage your students in the skills required for collaboration, inquiry, written communication, and building culture. Not since Minecraft has there been an entertainment program that captures the imagination of so many people. Pokémon Go is addictive for blending imagination from the Pokémon game world into the real environments of our communities. My son and I found our first Pokémon -- Pikachu -- in the parking lot of a major chain store. My daughter and I combed a local park to collect and categorize new Pokémon into our Pokédex. Many people eyed their phones and tablets in the park, as they too sought the diverse creatures that hung out near the library, ponds, playgrounds, and firehouse. 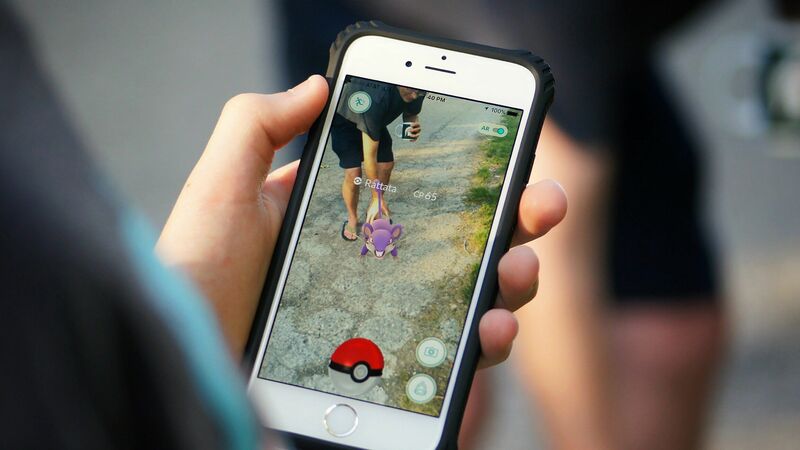 Children with their older siblings or parents searched feverishly for any Pokémon, making use of the Lures set up by players to raise the spawn rate of Pokémon appearances in specific locations. One group of five players thought they "saw" a Gastly around the bend of a pond, and excitedly ran to the spot with whoops of joy. Most of them were adults. Expect the enthusiasm for Pokémon Go, a free app, to only rise by the start of school, as updates raise the experience to new levels. Using this app in school poses many opportunities to enhance learning through global success skills, giving a strong boost to the school year. Establishing a learning culture of mutual support for growth is important at the start of and during the school year. Group students by teams with the charge of helping each other collect the same Pokémon into their respective Pokédex. Use the Pokémon Go app to set one or two Lures on or near campus, depending on the number of participants. This will encourage students to migrate between locations rather than standing around. To adequately complete the task, set a number of Pokémon to catch during a specific time period to ensure that all students stay active. Have teams submit their individual Journals (under the player's name icon) to verify their participation. The Journal tracks each achievement with a timestamp, such as Pokémon caught and items received from a PokéStop. Have team members discuss and write about their own efforts and their teammates' contributions toward creating a supportive, productive group experience. Use these reflections to create classroom norms for how students can work together for future successes. Where do you find the more frequent spawn points? Do Lures bring more unique Pokémon than the natural spawn points? What might be the ideal situation for using Incense or an Egg incubator? Why were the existing PokéStops in our community selected? What is their significance? How can we create PokéStops that represent the history and culture of our community? How do you set up and maintain a competitive PokéGym? What are best strategies for quality powering up Pokémon? Why might the safety issues of playing Pokémon Go (i.e. crossing streets, exploring a parking lot, or driving with the screen open) be an important consideration? What is the strategic value of powering up and/or evolving a Pokémon? How could you use various tools, such as Eggs, Incenses, and Lures, to create the best Pokémon Go experience? Students can generate many more questions that lead to opportunities for further inquiry. For reflective discussions, use protocols like the fishbowl or Harkness Discussion. Inquiry can result from initial Pokémon Go experiences, leading to new questions, research, and more Pokémon Go opportunities -- repeating the cycle as needed. Study and propose PokéStops and PokéGyms. Develop strategies for leveling up specific Pokémon characters. Innovate useful combinations of various tools. Map Pokémon environments for better gaming experiences. Propose solutions for minimizing data and battery usage while exploring the wilds. Use the Journal feature to track travels and escapades while seeking out Pokémon. Create etiquette guides when exploring the Pokémon Go environment. Take positions on the quality or safety of playing Pokémon Go. Content related to Pokémon Go continues to expand. While possible redundancy may seem like a reason for not having students post their ideas, producing content offers incredible value. The biggest reason is that the students will be sharing perspectives from their own unique experiences and insights. A secondary reason is that adding student voices to the collective commentary brings value to the work and meaning to the curriculum. Writing for an authentic audience raises the game for students putting forth their best efforts. Writing about their Pokémon Go experiences makes writing seem purposeful and easier because students have a wealth of fresh, passionate ideas.